Having heard so much about the beauty of the Baspa river and Sangla Valley, I had made sure to venture this side on my first trip to Spiti, back in 2011 or 2012 and again in the subsequent years. After having visited Ladakh & Spiti in the winters, I think 2017 will be the year when I visit Sangla Valley & Kinnaur in the snowy cold weather. The drive till Karchham hadn’t even given me a whiff of an idea of the greenery that existed in this fabled valley. After traversing the NH-22 till Karchham (Also spelt Karcham), a road bifurcates for Sangla near the dam site. First up came Sangla, the biggest town in Sangla Valley and also the administrative headquarters as far as work matters are concerned. 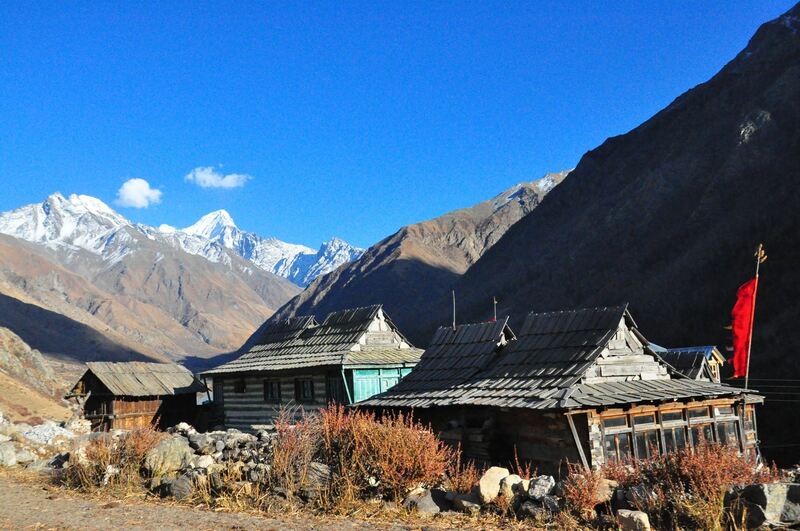 It is an uninspiring town full of concrete buildings but was popular earlier because of limited accommodation options in the other villages of Rakcham & Chitkul. Sangla is 18 kms away from Karcham and the natural beauty of the valley in on full show after that. There is a big market at Sangla, a comfortable looking PWD rest house, a HPSEB Rest House and a few dhabas and restaurants. 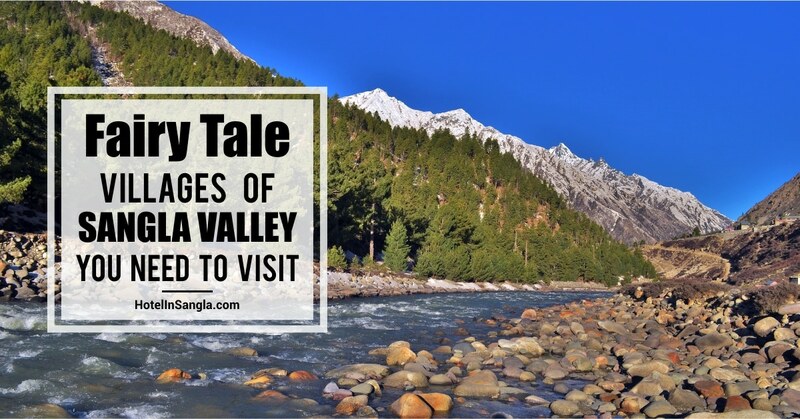 The lush green valley with the Baspa river flowing below is the true delight of Sangla Valley. The road leads to Rakcham village, which was given the honour of a Modern Village in 2010 and the President’s prize was also bestowed upon it. Wooden houses appear very pretty in the landscape and a few newly built hotels are also visible. The distance of Sangla to Rakcham is only 12-13 kms and I hoped that the pretty road will never end. The Baspa river ambles along a wooded valley past picture perfect villages surrounded by forests of deodhar, pine and birch. Pretty fields are flanked by snowy mountain peaks in the Sangla Valley. The road is quite adventurous and has been carved from a mountain and clings to a cliff for most of the journey. Smooth peaks shone brightly in the sun at the end of a non-existant road. 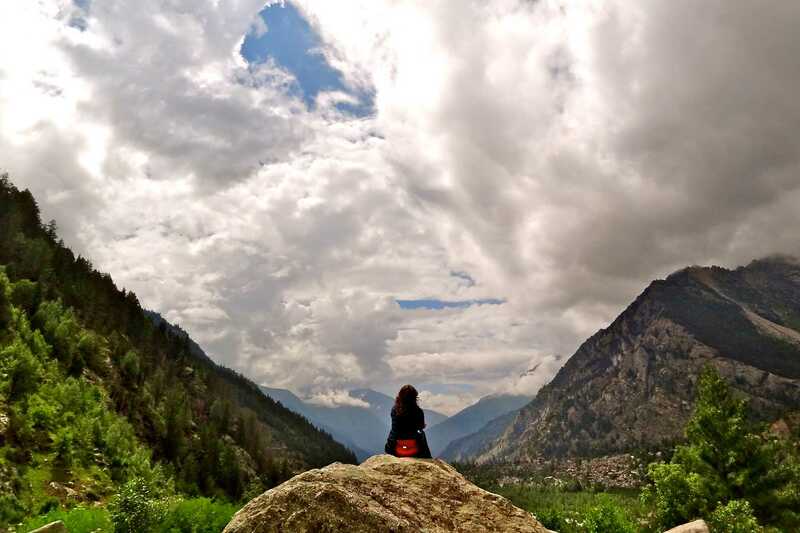 The most beautiful stretch of the Sangla to Chitkul road came between Rakcham to Chitkul where a waterfall flows on the road itself, surrounded by a gorgeous green forest and boulders spread intermittently. We made a stop instinctively and clicked some photographs. It was a memorable time spent in the love of nature. There are lots of apple trees in entire Sangla Valley and among the crops grown are millet, potatoes, buckwheat etc. The pine nuts (chilgoza) of this area are quite famous for their high nutritive value. During April, Sangla Valley is a riot of colours of various blossoms and also during September when the crops are ready to be harvested, pink is a dominating colour in the fields (maybe due to the buckwheat crop). The houses in Chitkul are all made out of wood and all seem to have notable carvings. There are influences of both Hinduism and Buddhism in the village. We visited a brilliantly carved temple and saw a few local Kinnauris wearing some flowers on their hats. The non-existant clouds of the afternoon had decided to come with a vengeance in the evening creating beautiful patterns in the sky. There was a signboard with ‘Hindustan ka aakhri dhaba’ that was the first thing I noticed after entering Chitkul. My friends were looking for some maggi joint but the dhaba could not be found (ha ha). I also remember trying to buy my first Kinnauri hat in Chitkul, after having tried the same with a local in Kinnaur. We rushed towards the open green fields and clicked many photographs with the snowy peaks in the background. The walk on Baspa river bed from the small hamlet of Batseri to Rakcham or Chitkul is a slightly longer hike but is absolutely worth it for the grand feeling of being among nature’s bounty. It also allows one to have a closer look at nature and the fields and apple orchards of Baspa Valley. There were very few guest houses in Chitkul at the time of my first visit and I recollect seeing a few buildings to be constructed as hotels. After the next visit, I was quite surprised to see a major change in Chitkul when it had become a full fledged town catering to groups of tourists. I remember staying in a small guest house once in Chitkul where the rest of the tourists were from Israel and the villagers had learnt to make Shakshuka & Falafel! Chitkul (at 3450m) is also popularly known as the last village on the India – China border, although the border is around 80 kms away. One is permitted to go to the ITBP check post that is around 3 kms from Chitkul and is an hour’s trek on narrow paths by the meandering Baspa river. It remains one of my best memories of spending time in this fairytale village. Indeed, it is only on walks where we are with our thoughts and time seems to stand still at that moment. 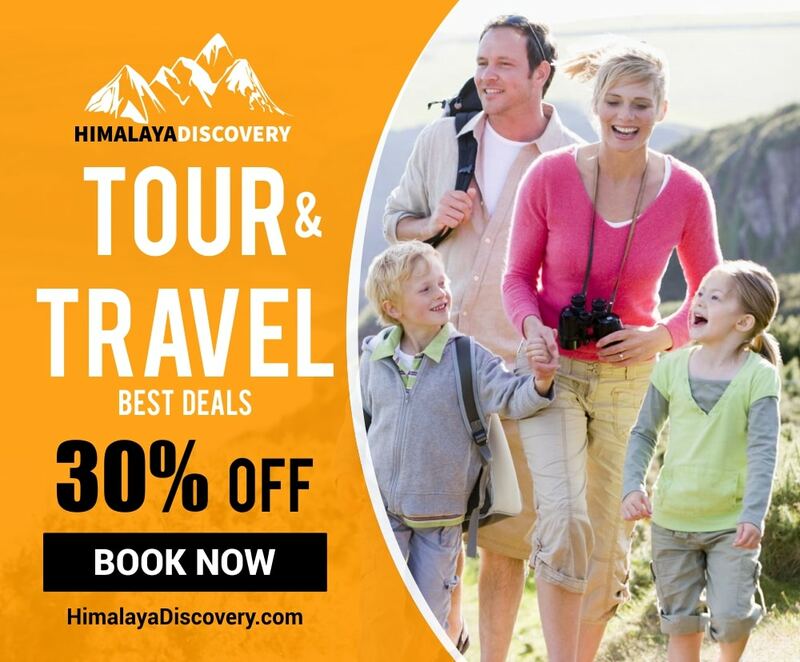 Why You Must Visit Sangla Valley?